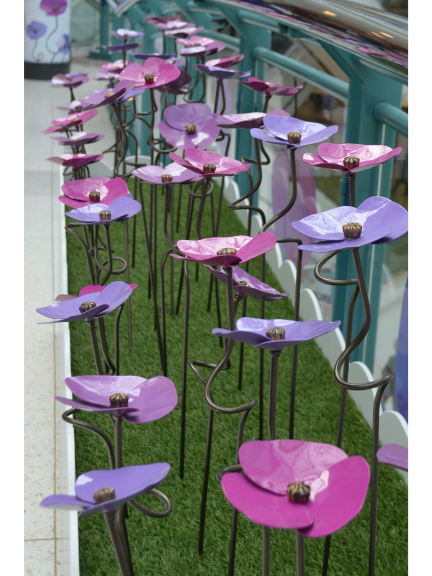 Peace Hospice Care announces the extension of the Poppy Hospice Poppy display at intu Watford due to its success. The shopping centre has been displaying a selection of the handcrafted metal poppies, in support of the Hospice’s Peace Hospice Poppy appeal, since July. The display will now be in place until 17th September. Peace Hospice Care’s Poppy Appeal has given people the opportunity to dedicate a poppy to commemorate the memory of a loved one, for a donation towards the charity’s work. Since the display at intu Watford has been in place, approximately 1.2 million people have passed through the shopping centre and had the opportunity to see the poppies. Or call: 01923 330 340. Every year the Peace Hospice Care needs £5 million to run its free services for patients, families and carers facing life-limiting illnesses.